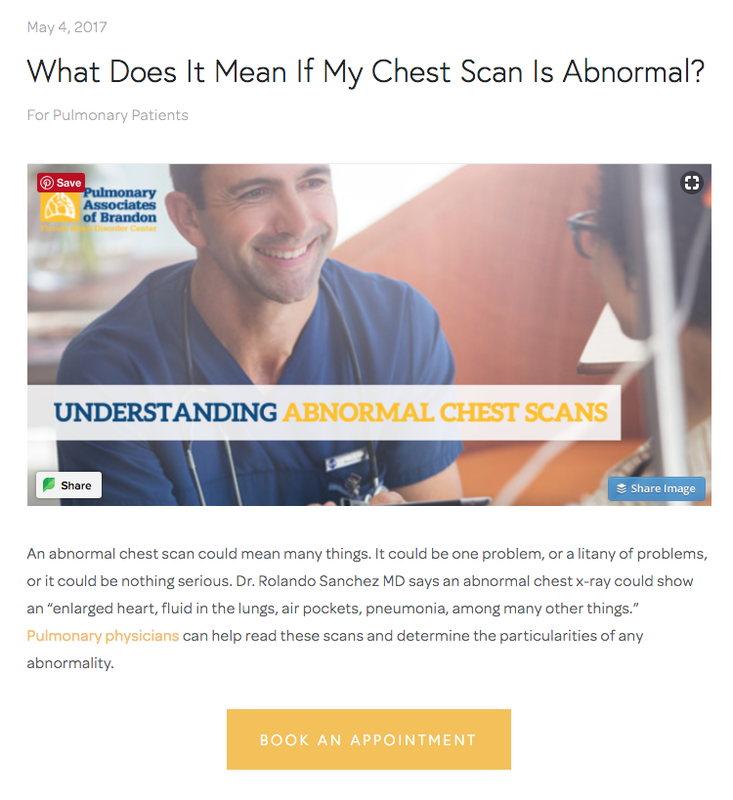 Whether you specialize in radiology or dermatology, cosmetic surgery or pulmonary health - your practice can no longer rely solely on referring physicians as a patient volume source. With more and more patients turning to Google or Facebook for recommendations about where to go for care - providers can’t afford not to be focusing at least some of their attention on digital marketing. The easiest and most affordable way to get started? Start by looking at your existing website to see how well it’s converting potential patients. All too often, practices will spend an arm and a leg on advertising that doesn’t contribute to their overall goal which is to drive more patients to schedule appointments. Yes, sponsoring your kid’s little league team is nice and maybe seeing your name plastered up on a billboard will give you a little ego boost - but neither of those things are going to be easy to measure conversion success. Even if you do see a boost in patient volume - there won’t be a sure-fire way to determine whether or not those patients came from your investment which means you won’t be able to identify your return on investment. So you don’t have extra advertising dollars to use to test digital advertising and you feel like you’ve wasted money on Google Adwords in the past? Here’s where website optimization comes in - it’s an affordable way to work with what you’ve got and jump start your online patient appointment requests. Let’s take a look at this example of a pulmonary specialist group we work with who saw a 72.95% increase on patient request conversions over just a two month period of time. Goal: Improve workflow of patient requests and communication plus streamline the overall engagement experience. Outcome: We more than quadrupled the amount of patient appointment requests, grew organic traffic and improved conversion rates. So, what did we do to their website to make this happen? Worked to improve existing organic rankings and outrank an organic competitor (pulmonaryandsleephealth.com) who due to our efforts, dropped in position for 15+ terms. Increased blog article output and created new image content templates for the blog and and social channels to create a stronger brand. Added clear CTA bar to the top of the website and a button in the main navigation bar to send visitors to the appointment booking page. Sara McFarland is the Director of Marketing for Atlantic Health Solutions, a boutique healthcare marketing agency specializing in digital and creative marketing. Sara speaks nationally at healthcare conferences on topics including social media, paid search, search engine optimization and more. She’s also a published writer and specializes in working with healthcare companies, physician groups, radiology practices, and healthcare startups.